"Easy home-made mustard tastes delicious with meat, potatoes, or as ingredient for sauces served with fish, egg dishes, meat, etc." Beat eggs, vinegar, evaporated milk, ground yellow mustard, flour, sugar, salt, and margarine together in a small pot until smooth; cook over low heat until simmering and slightly thickened, about 5 minutes. Cool to room temperature before storing in refrigerator. 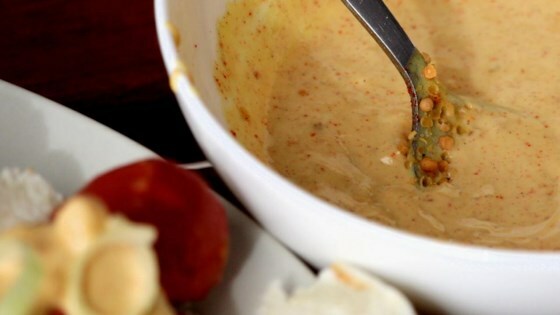 See how to make homemade Dijon-style mustard. Add more evaporated milk to smooth texture to desired thickness for spreading.